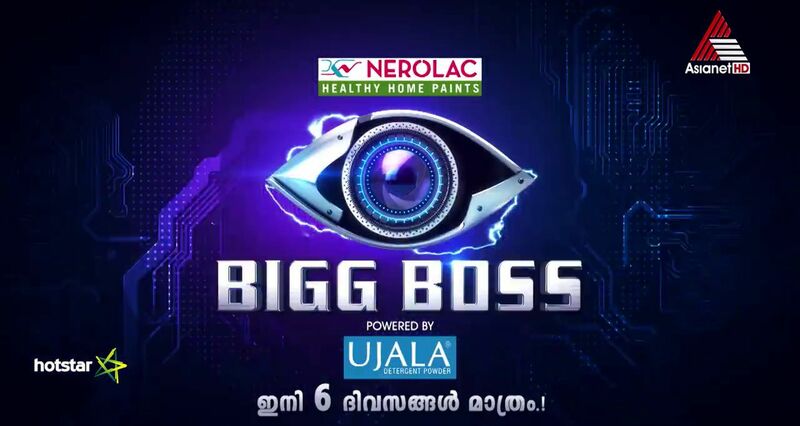 Sunday, 24th june 2018 is the launch date for malayalam bigg boss on asianet and asianet hd. 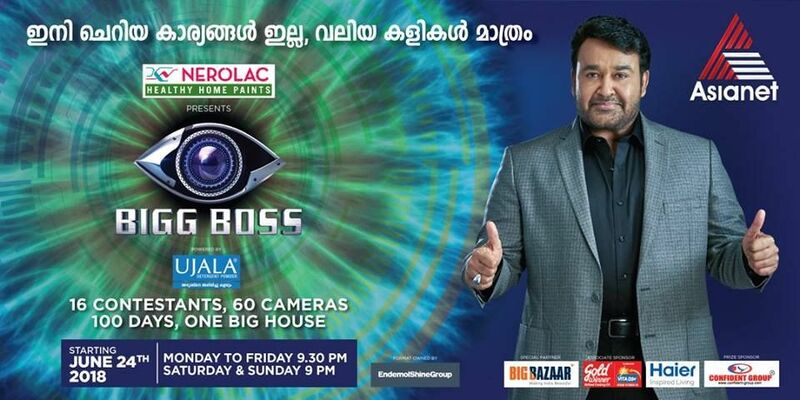 mohanlal is the host of the show and bigg boss asianet supposed to air all days at 9.00 P.M time slot. star network having the rights of bigg brother show in telugu, malayalam and tamil languages. it’s tamil and telugu versions already completed first season and season started through star maa, star vijay channels. naani is hosting the show on star maa and kamal hasan hosting bigg boss at star vijay channel. asianet already the industry leader, every week they are scoring more than 1000 total rating points in barc malayalam. expecting decent figures for the show, comedy season 2 is now going on at this time slot. comedy season 2 getting average 10 points and channel expecting more from bigg boss malayalam. few months back keralatv.in reported that asianet is planning to start the malayalam version of bigg boss and we posted the launch date. this will be different experience to the kerala television viewers. repeat telecast will be available through asianet and asianet hd channels. hotstar application will stream all the latest episodes of the show. all are eagerly waiting for contestants aka housemates names of malayalam bigg boss show. asianet didn’t given any clue about the same. we can expect 16 vibrant celebrities in the show. unofficial reports says, former indian cricketer s sreeshanth is a part of the show. oru adaar love story fame priya varrier is another expected housemate of asianet’s malayalam reality show. launch episode will introduce all the housemates and we will get the details on 24th june 2018. fifa 2018 now going through sony espn malayalam channel, definitely this is a very good season for keralites. Yes Boss is a HAUNTED programme! Alas, why Mohanlal, the super duper star is bent up on seeing his own ruin! As always, away from the theme, for publicity sake, I invite readers who come across my comments to watch my video – Homage to Pandit Nehru by p g joseph – in youtube (duration – about 24 minutes) No connection with the subject under reference, but just marketing! can you please share the contestants of asianet reality show bigg boss malayalam ?. can i watch the launch episode through hotstar application.